Many women diagnosed with breast cancer have chronic conditions such as diabetes that may impact other health behaviors. Our purpose was to determine if breast cancer screening and detection differs among women with and without diabetes. We conducted a cross-sectional analysis of a retrospective cohort of women aged 52–74 years diagnosed with incident stages I–III breast cancer enrolled in an integrated health plan between 1999 and 2014 with linkage to the Surveillance, Epidemiology and End Results registry (n = 2040). Screening data were taken from electronic health records. 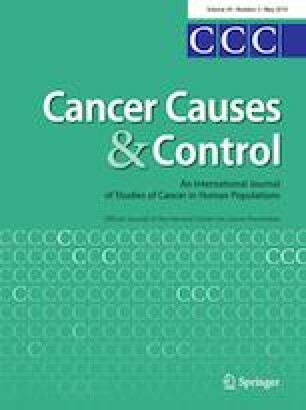 We used multivariable modified Poisson regression models with robust standard errors to estimate relative risks (RR) and 95% confidence intervals (CI) for outcomes of (i) receipt of screening in the 2 years prior to diagnosis; (ii) symptom-detected breast cancer; and (iii) diagnosis of locally advanced stage III breast cancer. Compared to women without diabetes, women with diabetes were similar with respect to receipt of screening mammography (78% and 77%), symptom-detected breast cancer (46% and 49%), and stage III diagnosis (7% and 7%). In multivariable models adjusting for age and year of diagnosis, race, BMI, Charlson comorbidity score and depression diagnosis no differences were observed in the outcomes by presence of diabetes. Further investigation is warranted to determine how diabetes acts as a mediating factor in adverse breast cancer outcomes. The online version of this article ( https://doi.org/10.1007/s10552-019-01166-2) contains supplementary material, which is available to authorized users. This work was supported by the National Institutes of Health, National Cancer Institute, through Grant Numbers R01CA188353 (Gold) and R01CA120562 (Boudreau). Author GSC was supported by the National Institutes of Health, National Center for Advancing Translational Sciences through Grant Number KL2TR000048. The content is solely the responsibility of the authors and does not necessarily represent the official view of the National Institutes of Health. Author O.Y. has received funding for research unrelated to the contributions as co-author of this work. This funder had no role in the design, interpretation or conclusions of this study. The other authors declare that they have no conflict of interest. This study was approved by the institutional review board of the Kaiser Permanente Washington Health Research Institute.